David BARRY was born about 1816 in Ireland and was married to Johanna. There is only one known child of David and Johanna, and that is Andrew. Andrew BARRY was born about 1838 in Cashel, Tipperary, Ireland and died on 15 October 1882 in Marlborough, Queensland and was buried that day. He was a roading contractor. Andrew and Bridget emmigrated to Australia, leaving England in November 1862 on the Wanata, arriving in Moreton Bay, Queensland. Mary BARRY was born on 17 May 1866 in Queensland. David BARRY was born on 15 January 1870 in Queensland. Michael BARRY, born about 1874 in Cashel, Tipperary, Ireland, and died about 1921 in Balmain North, New South Wales. It is known that Michael had children, and was probably married, but under another name. Bridget moved from Rockhampton about 1889 to Sydney, New South Wales, and at least some, but not all of her children came with her. At the time of her death in 1906, she was living with her son, Michael in an area of Sydney known as The Rock. 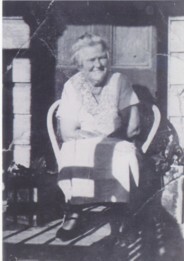 Although she had moved states, Bridget still had ownership of the family home in Rockhampton at the time of her death. Her youngest daughter, Catherine was living in the house during the 1890s. John James BARRY was born on 14 July 1878 in Rockhampton, Queensland, Australia. He married Mabel Sarah Ann REDWOOD on 16 June 1909 at St Barnabas Anglican Church, Sydney, and at the time he was a Ship's Purser. John died on 5 February 1967 in Sydney, New South Wales, and buried in the Church of England Cemetery at Waverley, New South Wales on 8 February 1967. One story that is told about John is that he did not like any means of transport and often walked everywhere. This included walking from Rockhampton to Sydney when the family moved there. His wife, Mabel was born on 15 May 1889 in South Brisbane, Queensland. She died at the hospital at Balmain, New South Wales on 6 Dec 1965, and buried with her husband on 8 December 1965.
female) BARRY. As this person is still alive, their details are not included. John Charles BARRY was born on 17 October 1911 at Balmain, New South Wales. He married Ellen BAGOT on 16 April 1937 at St Thomas Anglican Church in Rozelle, New South Wales. John died on 20 May 1987 at Royal PRince Albert Hospital in Sydney, New South Wales, and cremated three days later. John and Ellen had three children. Arthur Henry BARRY was born on 13 March 1913 in Sydney, New South WALES. He married Elsie May CAULFIELD about 1938 at the Baptist Church in Balmain, New South Wales. Arthur died on 6 April 1984 in Earlwood, New South Wales, and was buried in the Sutherland Cemetery. Arthur and Elsie had two children. David A. Barry was born on 13 March 1913 in Sydney, and died later that year on 25 December, and is buried in the Waverley Cemetery. James Joseph BARRY was born on 2 Aug 1914 in Balmain North, New South Wales, and died about April 1991 in Sydney, New South Wales, and was cremated shortly afterwoods. It is believed that he did not marry or have any children. George Francis BARRY was born on 7 January 1917 in Sydney, New South Wales, and died on 31 August 1983 in Gorokon, New South Wales, and is buried in the Ourimbah Cemetery. He married Phyllis Beatrice EVANS about 1941 in Balmain, New South Wales. George and Phyllis had four children. Ronald Royal BARRY was born on 2 August 1918 in Sydney, New South Wales, and died on 16 February 1943 in Hospital, in Sydney, New South Wales, and is buried in the Rookwood Cemetery at Auburn, New South Wales. It is believed that he did not marry or have any children. Edward Allen BARRY was born on 28 December 1921 in Sydney, New South Wales, and died at The Ritz Nursing Home in Sydney, New South Wales on 2 November 1988, and was cremated three days later in Leura, New South Wales. He married Eileen Nellie JELFS about 1942 at St Josephs Catholic Church in Rozelle, New South Wales. Edward and Eileen had three children. Roy R. BARRY was born in Sydney, New South Wales, and died about 1926 in Annandale, New South Wales. (female) BARRY. As this person is still alive, their details have not been included. Catherine Elizabeth BARRY was born on 30 August 1880 in Rockhampton, Queensland, and married Thomas EVANS on 17 January 1902 in Rockhampton, Queensland. Thomas EVANS was born on 4 February 1866 in Hoarwithy, Hereford, England to Milson EVANS and Mary Ann WATKINS and emmigrated to Austrlia on 11 January 1886 on the Duke of Westminister. 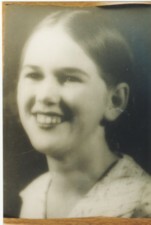 Jean Heather EVANS was born on 20 December 1917 in Rockhampton, Queensland and died on 13 January 1998 in Redcliffe, Queenaland, and was buried six days latter in the Redcliffe Cemetery. She married Clarence Robert MAHONEY on 28 August 1937 in Rockhampton, Queensland. They had six children. Catherine died on 2 March 1957 in Rockhampton, Queensland, and was buried in the North Rockhampton Cemetery three days latter. Thomas EVANS died on 9 November 1924 in Mount Morgan, Queensland and was buried in the Mount Morgan Cemetery the next day.